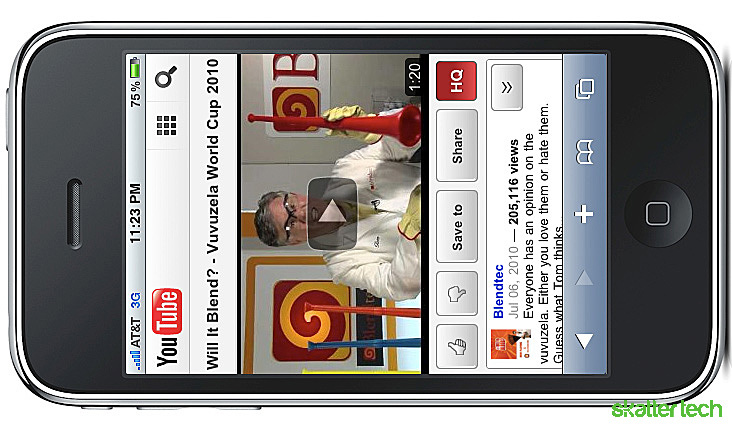 YouTube fans who own HTML 5 compliant smart phones rejoiced today, as Youtube announced that its mobile site m.youtube.com is getting a major upgrade. This upgraded web app boasts faster speeds than it did previously, has larger and more touch-friendly elements that make it easier to access videos, and incorporates some popular features on the regular website like search query suggestions, the ability to “favorite,” “like,” or “unlike” videos, and even create playlists. Also, all updates to YouTube.com will now also be made to m.youtube.com, something that, as many smart phone owners know well, native apps on iPhones and Android devices don’t do. It is true that YouTube already has a solid footing in mobile video streaming, with every iOS device and most Android devices coming with a pre-installed native YouTube app. However, these apps have had their fair share of limitations, such as slow load times and subpar video quality. Also, since it is the device makers rather than YouTube that controls the native apps for these smart phones, updates tend to lag behind those made to the main site or even the mobile site. For example, the YouTube app on my Droid X still uses a 5 star rating system to rate videos, whereas m.youtube.com uses the same “like” versus “unlike” system as YouTube.com. We at Skatter Tech tested out the mobile site and can attest that the upgraded web app is a vast improvement over the native iPhone app. General manager Sharath Shroff noticed a vast improvement in load time when using the mobile site on his iPhone 3GS over the native app, as well as a much higher video quality than he was used to. Unfortunately, I was unable to load videos on the browser using the Droid X for unknown reasons, so I cannot evaluate its performance on that device at this time.